"It's a 15 minute taxi ride from Basel in Switzerland to the Vitra Design Museum in Germany" said the hotel concierge to me. I rushed back to my room, got my passport and took off (in a taxi) with my friends to this famous design museum. I sit on a Vitra chair every day (.03) so naturally I'd quite like to visit its birthplace. It is located in the middle of nowhere (Weil am Rhein) on ... wait for this ... No 1 Charles-Eames-Strasse!!! I normally object to the idea of a guided tour but in this instance, it's worth it because I was taken to see the buildings designed by Gehry, Grimshaw and Hadid. 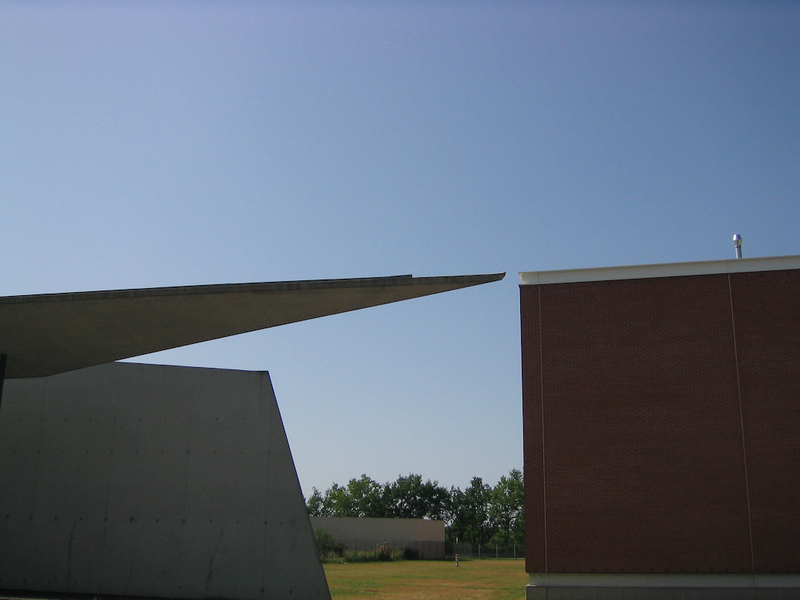 The latter was amazing - as Hadid designed this angular slightly deconstructed "Fire Station" that is now a function facility. Visitors on this tour could roam freely inside this building - check out the funky locker room or the masculine breakfast table on the first floor.